Hi Cas! Could you please tell the readers something about yourself? At Pluxbox, I’m responsible for all the technical processes, stability and innovations concerning the Pluxbox products. I started my career by developing a single-source publishing system together with Dennis Laupman, which is how the company Pluxbox was born. Pluxbox is in the technical lead of a lot of radio innovations, such as the radio production tool RadioManager. I am also the Pluxbox representative of WorldDAB, RadioDNS and in technical lead of WP3. What are you curious to learn while working on MARCONI? The biggest challenge lies in cooperating with the various parties from different countries, languages and disciplines. How do we get everyone on the same page and how do we find a work process that is efficient and fits the needs of the end user, with the availability of the resources of all partners. Another opportunity is that we have to work with big data sets and machine learning services which we need to analyse to create valuable insights, so that radio makers can learn from them. You have been leading the developments towards the first release of the MARCONI integrated system. Could you tell us a bit more about the process and the current status / achievements? 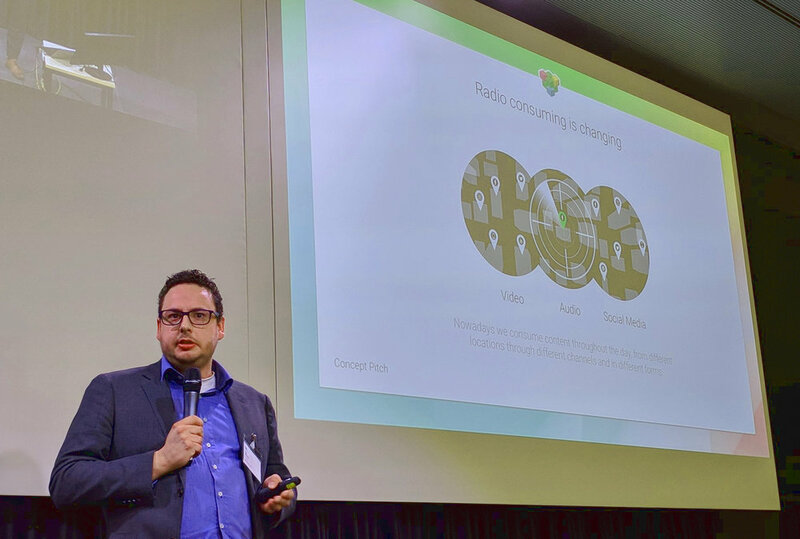 Together with the MARCONI partners, we have set up various use cases and business cases that could create partly automated interaction with the listener. In order to manage this properly, we first drafted use cases with the listener, but also with the program makers. We then picked the best ideas and processed them into scrum stories. Because we want to learn a lot about the usage of the interactive possibilities, we work in small steps. Every step is shippable and testable. This way, we can see what works and what does not. When required, we can adjust the applications in this iterative process.